See the Montserrat Entry in Wikipedia. 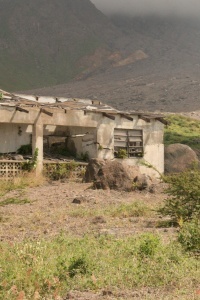 Montserrat is a Caribbean island, specifically in the Leeward Islands, which is part of the chain known as the Lesser Antilles, in the former British West Indies. It is a British Overseas Territory. 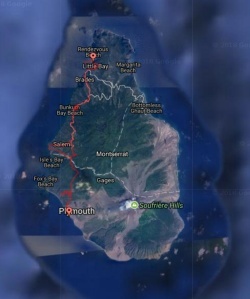 Montserrat measures approximately 16 km (10 miles) in length and 11 km (7 miles) in width, with approximately 40 km (25 miles) of coastline. Montserrat is nicknamed "The Emerald Isle of the Caribbean" both for its resemblance to coastal Ireland and for the Irish ancestry of many of its inhabitants. We made an excursion into the exclusion zone to visit Plymouth. 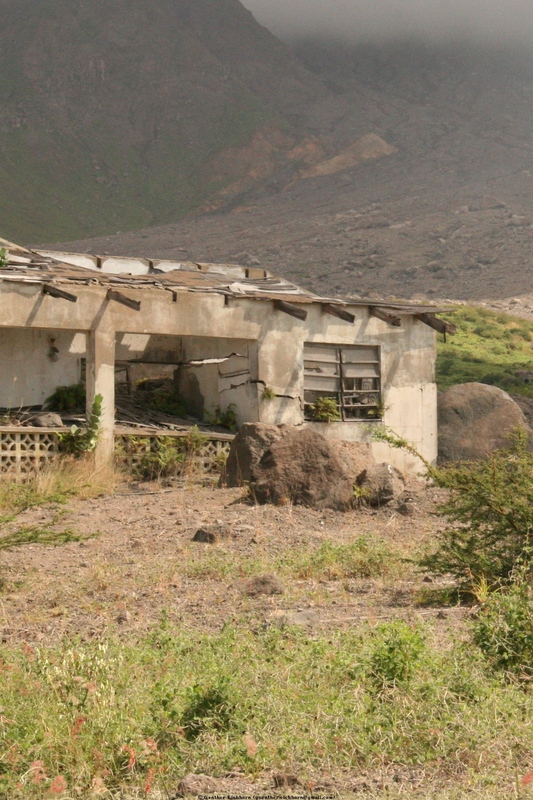 It is eerie to see the abandoned city, buried in ash and volcanic debris.